The Turkish state media triumphally announced yesterday that the centre of Afrin, the Kurdish city in Rojava in the north of Syria, was under the control of its proxy militias. The Turkish military junta, after two months of incurring heavy casualties, have managed to enter the city of Afrin. However, the leaders of the Afrin Administration announced at a press conference that in reality the battle for Afrin has just started with a shift to guerrilla warfare tactics designed to protect civilians but “strike the positions of Turkish aggression and its mercenaries at every opportunity”, turning the whole area into a nightmare for them. In 2015 when ISIS with the help of Turkey attacked the city of Kobani they expected to capture it quickly but in the end their offensive turned into the beginning of the end for ISIS in the area. This time there are similarities with Kobani. 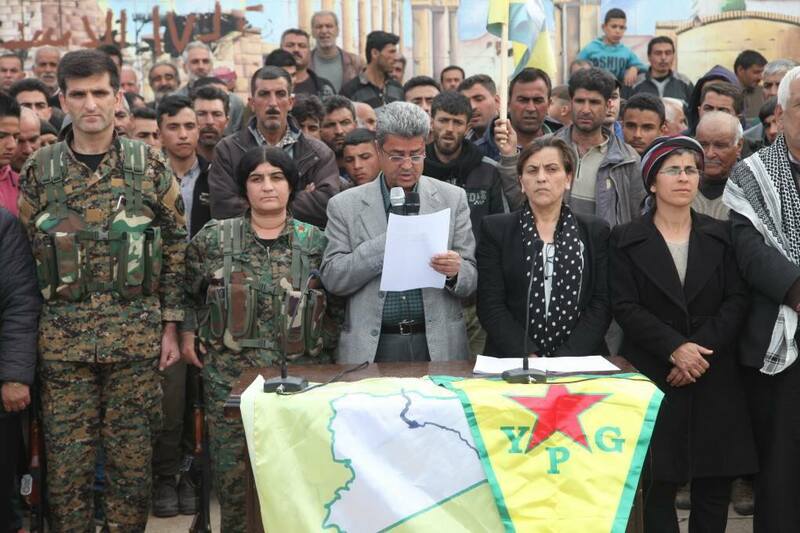 The Turkish army and its proxies have failed to appreciate that the fighters of the YPG made strategic plans to defend Afrin city and province two years ago. The western world should understand that the fall of Afrin means strengthening the position of ISIS in the area and the world. The Kurds and their de facto state of Rojava have no friends among the world’s powers to defend them. As the spokesman of the PUK in the south of Kurdistan has said, “What has happened in Afrin to the people is beyond imagining”. Yet the KDP in the south of Kurdistan has been almost silent on the issue since the start of the invasion. Turkey’s catastrophic decision to invade Afrin, to attack cities in the north of Kurdistan and to attack the Kurds in the south of Kurdistan is based purely on racism and not national security. The Turkish military junta don’t want to see the Kurds in any part of Kurdistan living in peace and dignity. The Turkish state represents the most racist of institutions and is satisfying the hopes and aspirations of fascist movements around the world. However, as a result of these ideas of colonial expansion, Turkey will end up competing with Iran for the unenviable position of being the poorest state in the Middle East. Erdogan takes a greater interest in targeting and killing Kurds than any other Turkish leader. Erdogan nowadays is less concerned with international condemnation that most of his predecessors in Turkey such us Abdulla Gul and Ahmet Davutoğlu. Turkey is a military state and, according to Human Right Watch, since the July 2016 attempted coup even 5,471 of the ruling AKP party’s officials, including heads of provincial and district branches, have been detained, with 1,482 sent to pretrial detention. The Turkish military state must be stopped before it inflicts further bloodshed and ethnic cleansing. The western world should realise that allowing another Saddam in Turkey to operate with impunity jeopardises the stability of the world and encourages Erdogan to invade neighbouring countries. It took the Turkish military state two months to get to the city of Afrin but, while making a tactical withdrawal, the fighters of the YPG have only just started to defend Afrin. The Western powers and the UN must act to force the withdrawal of Turkish forces and stop further atrocities against the people of Afrin.